Travelling Just Got Cuter With Japan's Hello Kitty Themed Shinkansen Train! 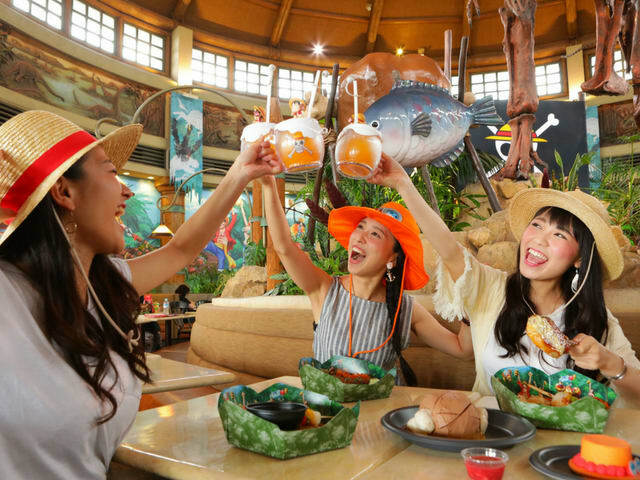 A soaking good time awaits at Universal Studios Japan this summer 2018! 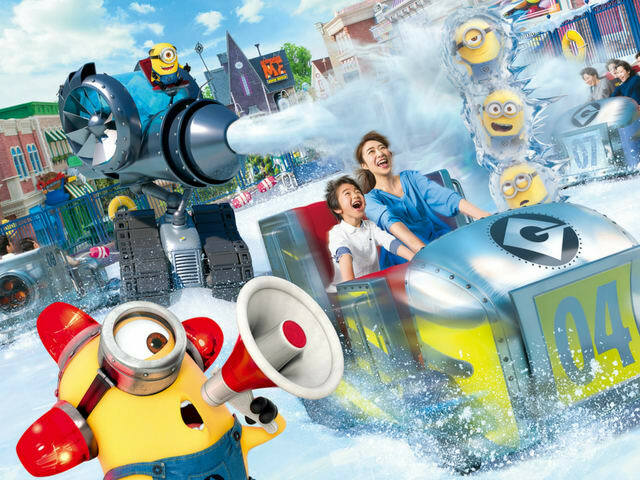 Nothing says summer in Osaka like soaking up the fun (literally) at Universal Studios Japan! 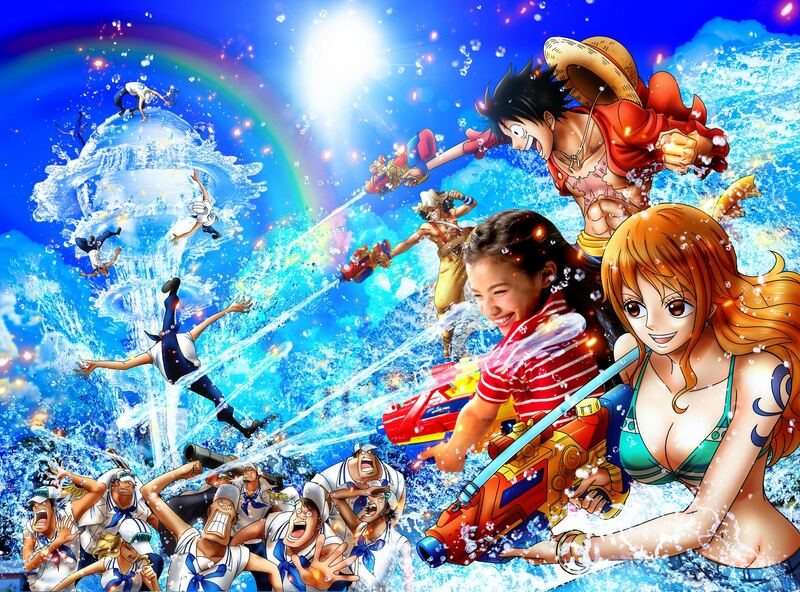 Cool off from the summer heat and join your favorite One Piece characters in a battle of the super soakers. If water isn’t enough to cool you down, we hear the Minions went wild with their giant new freeze ray! Starting from 30th June 2018, read on to find out what you can expect this summer! One Piece invades Universal Studios Japan! From 6th July to 30th September 2018, experience the One Piece Premier Summer in Universal Studios Japan! Based off the ever popular manga series, step into the world of straw hat pirates and get ready to celebrate summer! Grab your fellow straw hat friends because the One Piece Premier Show is the one thing you must not miss on your visit to Universal Studios Japan this summer. Relieve one of the most popular moments in the manga series where Luffy and the other straw hat pirates rescue Princess Vivi from crisis! 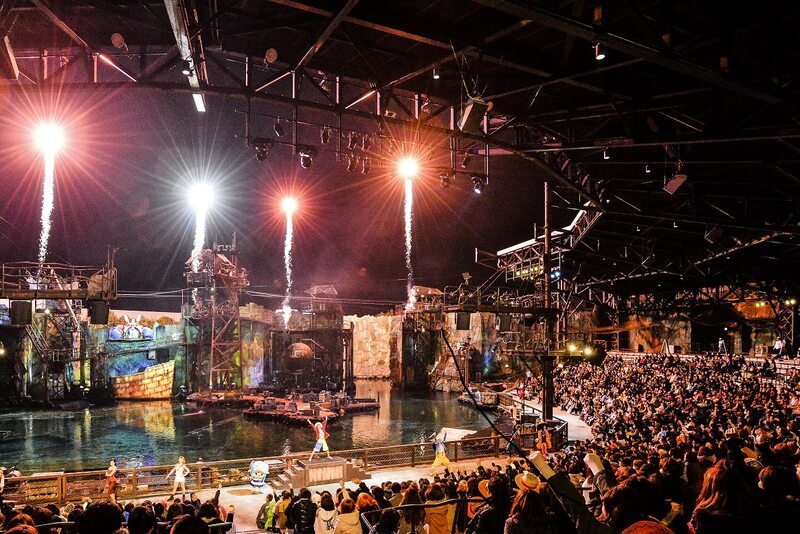 Complete with fireworks, stunts and special effects, get ready for the excitement of finding your very own One Piece. This attraction requires a separate ticket from your Universal Studios Japan admission ticket. You can get them from the official Universal Studios Japan site. Show period: 6 July to 30 September 2018. *Do note that there will not be a show on 10th July, 2nd August and 5th September. Of course you can’t spend summer without having at least one water gun fight! 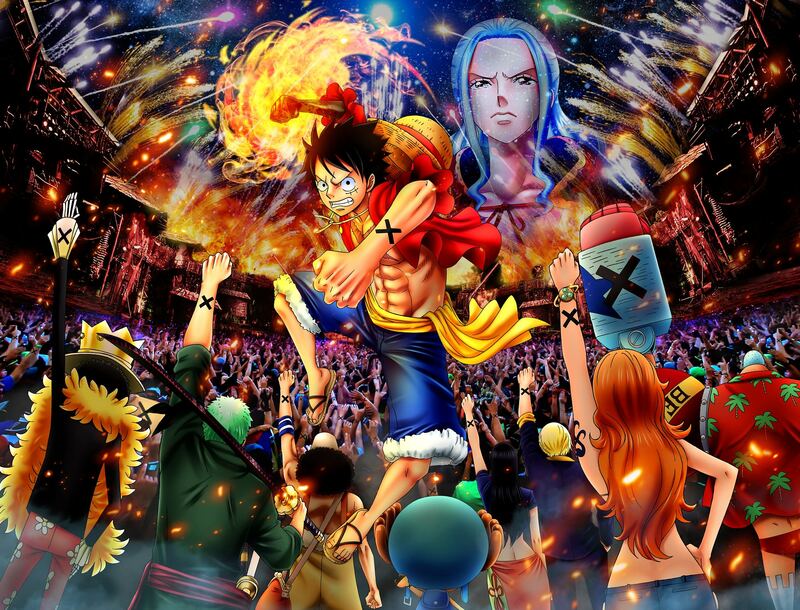 Join the Straw Hat pirates in their quest to gain the hidden treasure and get in a few soaks while you’re at it. Pick up your weapon of choice and help Luffy defeat the enemies! Be sure to pack an extra set of clothes because you can get pretty wet. Timing: Check out the daily soak sessions at the guest services centre! You’ll definitely be starving after all that battling and there’s no better place to feel like a Straw Hat pirate than refuelling on some food by Sanji. For the uninitiated, Sanji is the Straw Hat Pirates’ cook and this themed restaurant is one of the most popular dining options as from previous years. Enjoy some delicious french cuisine as you bask in the hospitality of Sanji! *Do note that the restaurant is NOT open from 4th to 7th, 11th to 14th, 18th to 21st and 25th to 28th of June. Our favorite friendly little yellow friends couldn’t stand the summer heat so they stole Gru’s freeze ray gun and the next thing we knew, the entire pool at the Minion Park is frozen! If you too can’t stand the summer heat, be sure to head over to the new ice rink. Hop into the ice making machine vehicles and slide your way around the rink to free up the other frozen minions! With so much to see and do this summer at Universal Studios Japan, the last thing you’d want to do is spend your time outside the park queuing up for tickets. 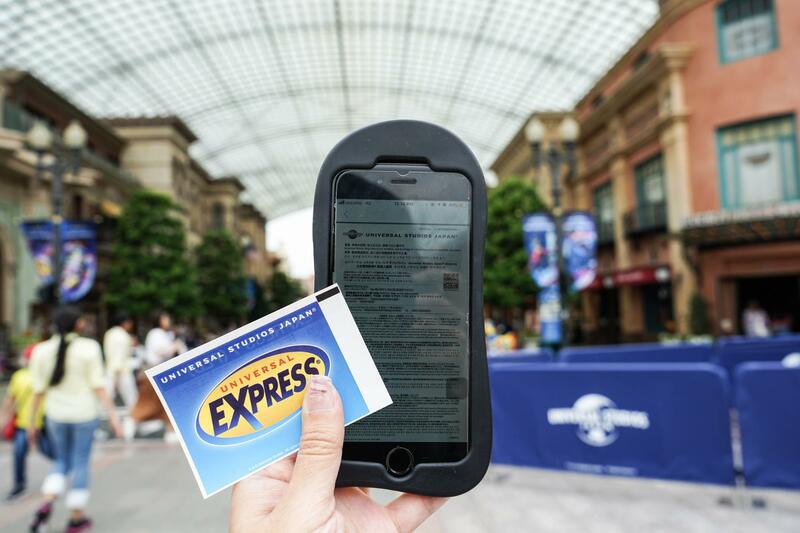 Klook your tickets to Universal Studios Japan and skip the queues! Just flash your mobile e-voucher and enter the park directly. From the best spots to view the night parade to secret souvenirs you can get, don’t forget to check out our insider tips to conquering the park!